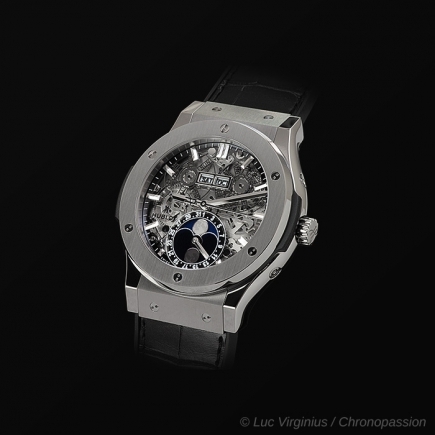 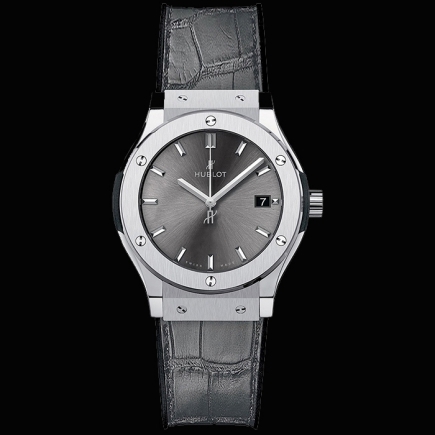 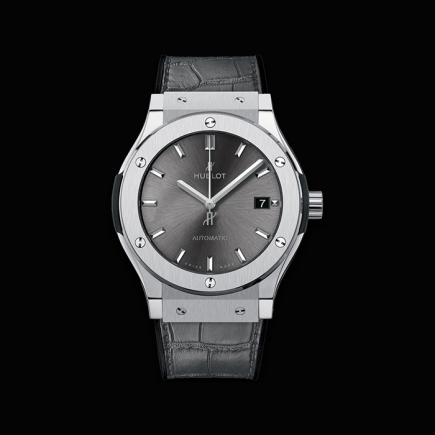 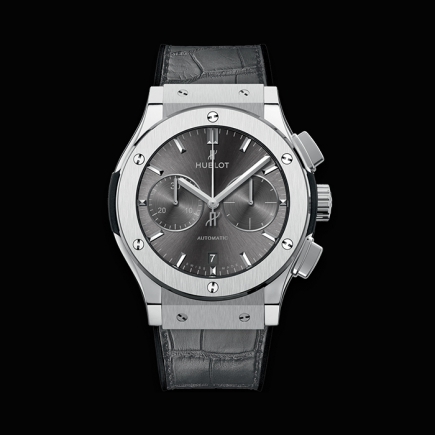 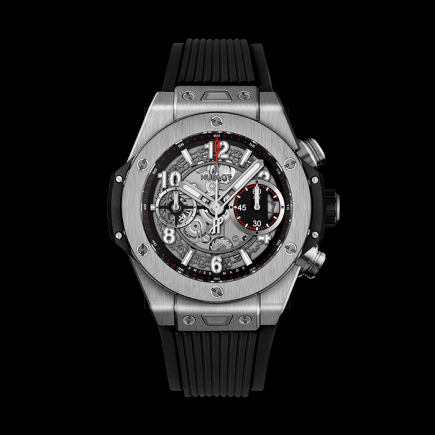 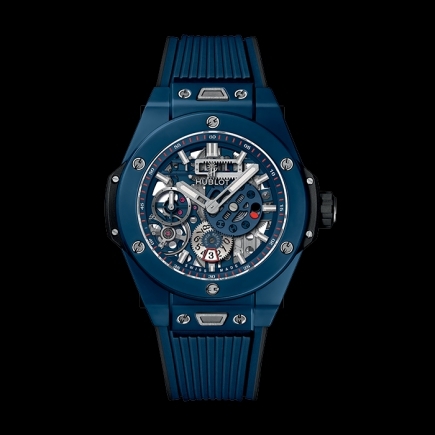 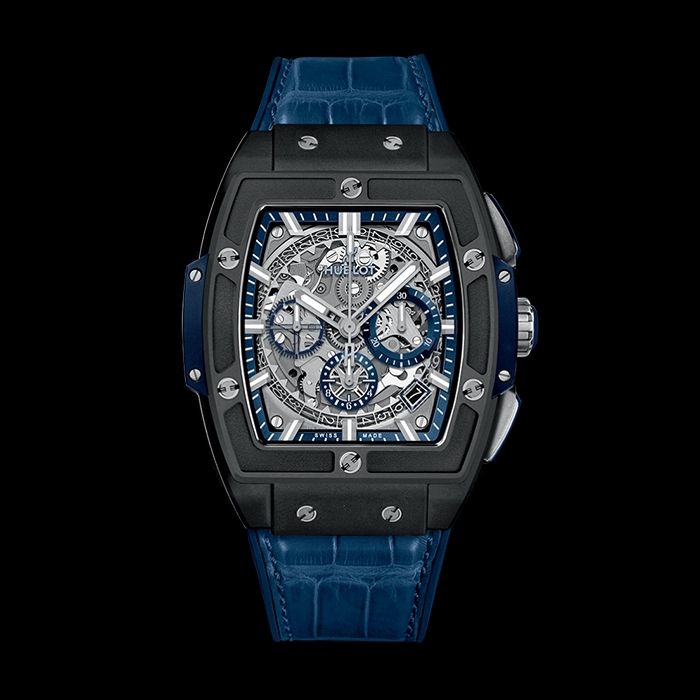 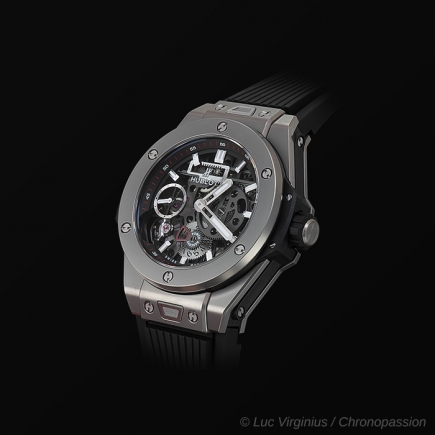 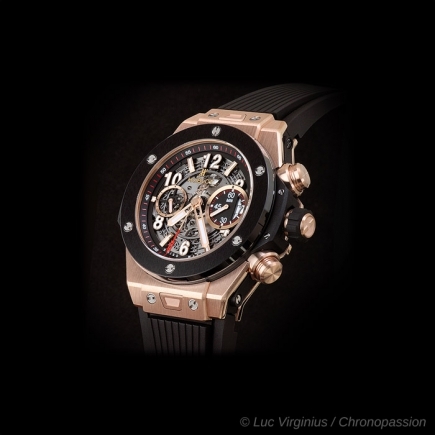 hublot | 25'200 € Tax inc.
"A strap to a watch is like a pair of shoes to an outfit, the perfect complement to a look. 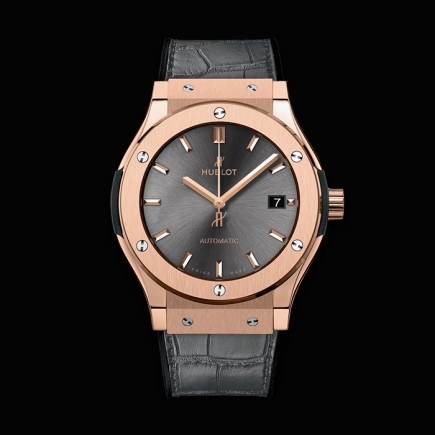 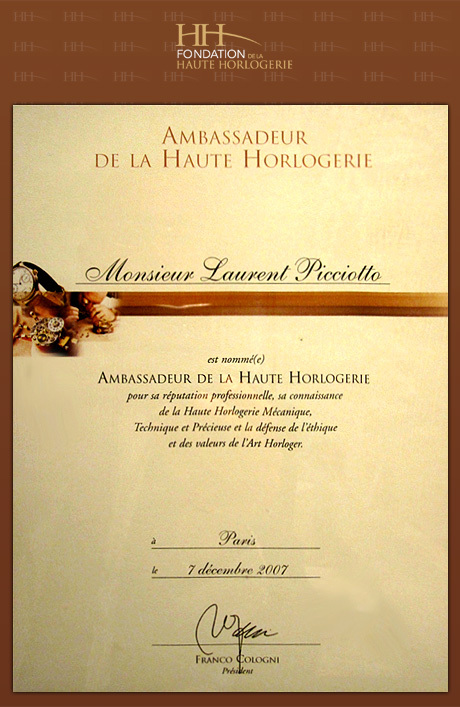 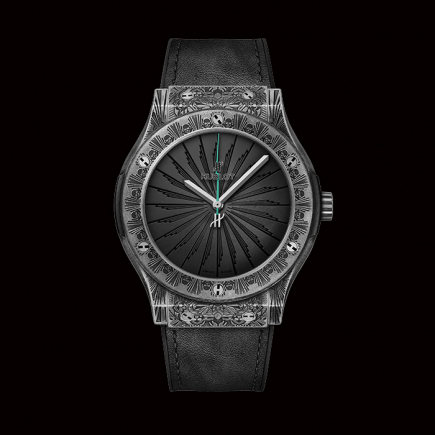 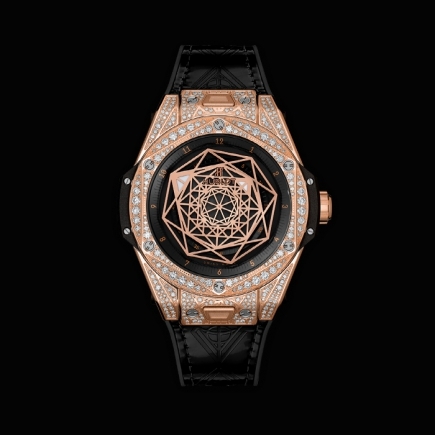 Each Hublot watch comes on a perfectly matched strap that becomes an inherent part of the overall design." 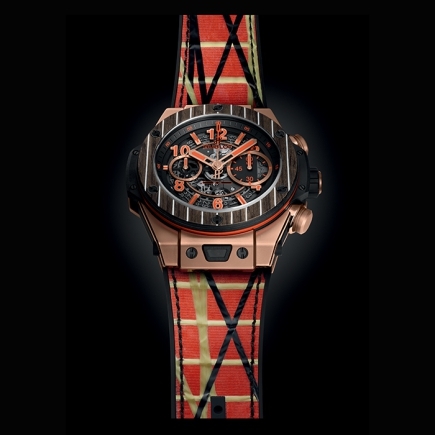 A strap to a watch is like a pair of shoes to an outfit, the perfect complement to a look. 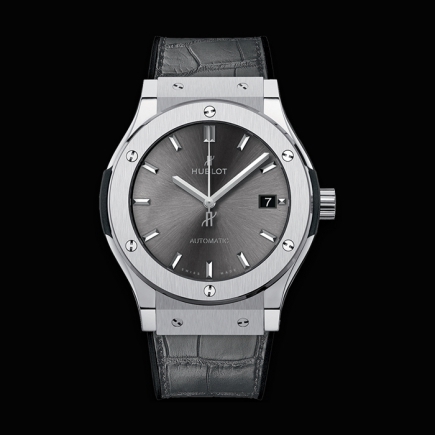 Each Hublot watch comes on a perfectly matched strap that becomes an inherent part of the overall design. 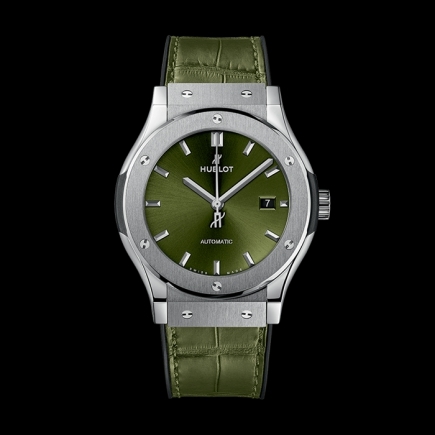 Undoubtedly a staple element for Hublot, considered the originator of the rubber watch strap, Hublot produces a wide range of textures of its signature natural rubber straps across all collections, from smooth to structured and flat to three-dimensional. 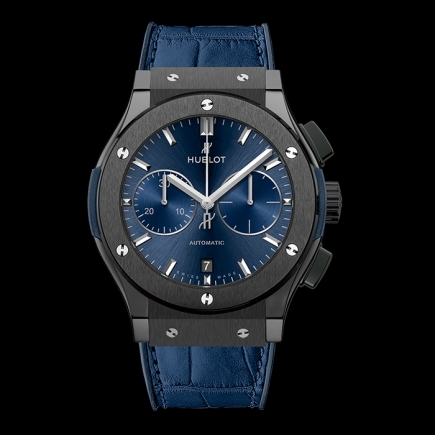 Going beyond the standard black rubber, Hublot offers the rubber strap in countless colors perfectly matching a watch’s color accents including the Kevlar inserts on the sides and giving the appearance that the strap goes right through the center portion of the case. 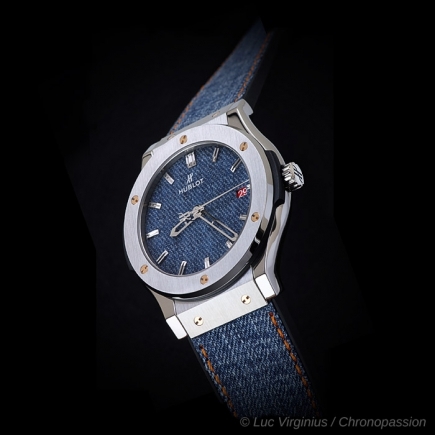 Combining the durability of rubber with the opulence of exotic leathers is the “gummy” alligator strap, which boasts the water-resistance and durability of natural rubber with the elegance and opulence of an alligator skin strap. Inlaid into the rubber, the alligator leather is given a rubberized surface and texture, making it seamlessly blend with the rubber in terms of looks and feel. 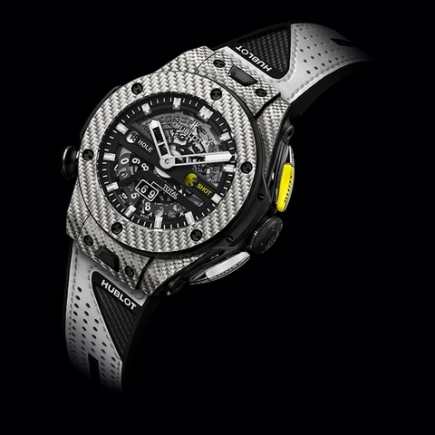 Hublot also incorporates other fabrics and materials onto the rubber strap, including high-tech fabrics such as flameproof Nomex® and even denim. 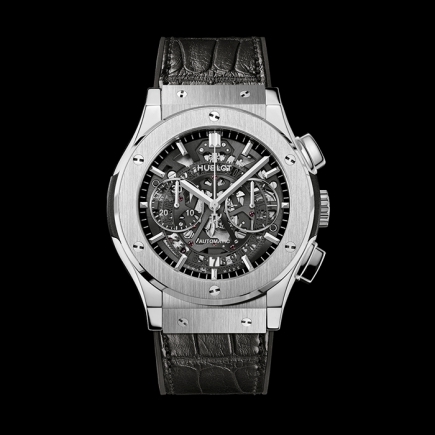 Drawing inspiration from the worlds of its partners and ambassadors, Hublot creates entirely new designs and executions for such special series. 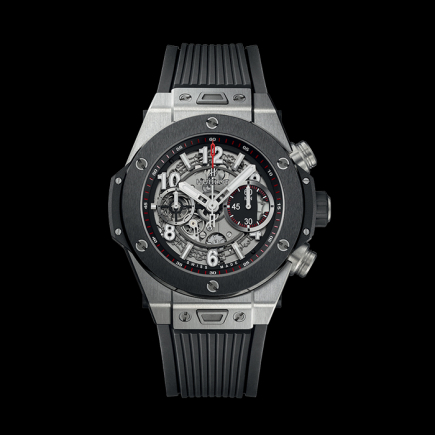 For those who prefer the feel of something more substantial, Hublot also offers metal and ceramic bracelets that perfectly integrate with a watch’s case and follows the mix of materials and surface treatments. Even for diamond-embellished pieces, Hublot offers the option of a matching steel or gold bracelet hand set with brilliant or baguette cut diamonds.